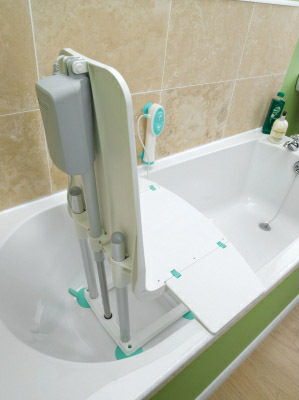 Splash Bath Lift Robust For Users Up to 20 Stone. An ultra-lightweight, budget-friendly bath lift With all the basic elements needed to safely maintain personal hygiene. The Splash bath lift has been designed to offer good value for the budget conscious. 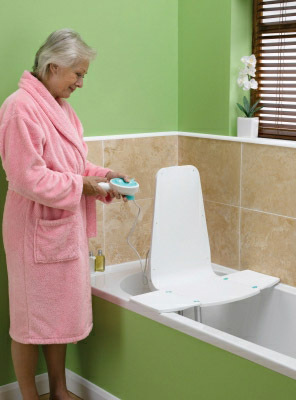 Weighing an incredibly low 6.5kg (14lb), Splash is not only the lightest battery-powered bath lift available in the UK, its robust design also comfortably lifts users of up to 20 stone. Allows Splash to fit close to the back of a bath to help optimise legroom Low seat travel. Maximises water immersion for improved personal hygiene. Offers a safe bathing experience. Can be easily operated by users with small hands and/or limited dexterity. Monitors battery power, preventing descent when low. 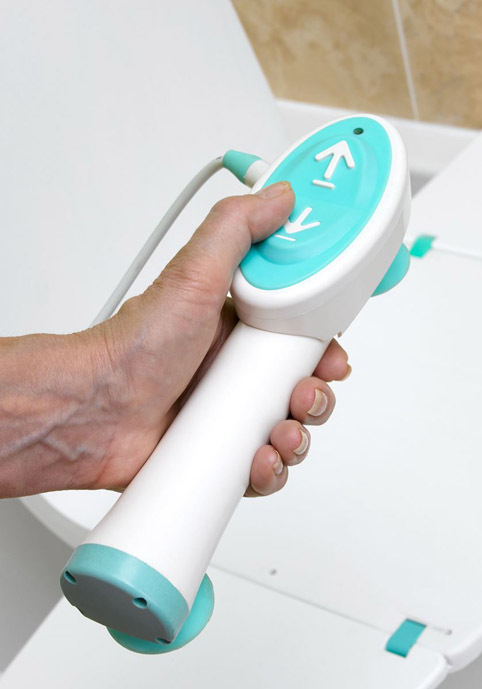 Simple to clean both bath lift and bath surfaces. Trim and lightweight for easy moving and handling. 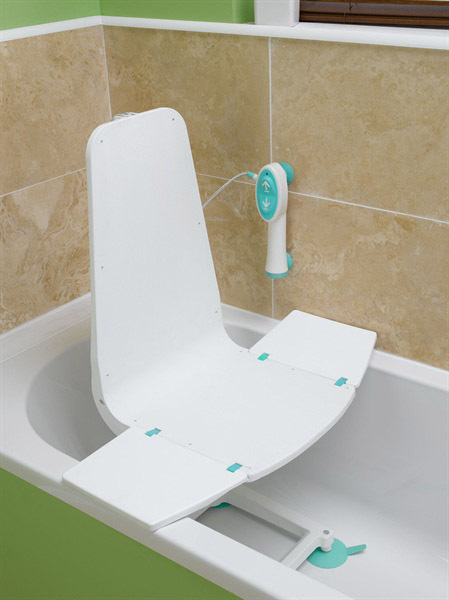 Offers quick and uncomplicated fitting and removal from the bath in one complete unit. Conforms with HSE guidelines for safe moving and handling of loads. Provides ultimate ease of carrying. Can be stored in even the smallest of spaces. Blends discreetly into any bathroom environment. Barely noticeable when stored in its lowest position in the bath. Provides a fresh, non medical appearance in the home. Easy to install, easy to clean, and uses less water than bath seat.